“you” means the person(s) or company whose order for the delivery of a Consignment is accepted by us and “your” will be interpreted accordingly. spend 30 minutes attempting to collect or deliver a Consignment free of charge. We will then pay a maximum of £3.75 per 15 minute period spent attempting to collect or deliver a Consignment. The maximum job cancellation charge we pay to any sub-contracted driver is £30, plus any waiting time beyond the first 30 minutes to a maximum of £3.75 per 15 minute period. There is a possibility with any job that you agree to complete for us, that you may be required to manually load or unload our customers consignment/s on or off your vehicle, and by agreeing to complete the job for us, that you will able to do this and at solely your own risk, if required. 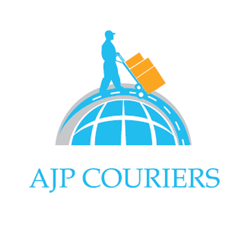 AJP Couriers (Nationwide) Ltd will not be liable for any injury sustained by a sub-contracted driver when loading or unloading our customers consignment/s on or off their vehicle. no Consignment will exceed any size or weight restrictions which we from time to time specify. We do not carry and you warrant that no Consignment will contain any bullion, antiques, cashiers or travellers cheques, currency, stamps, firearms, money orders, cigarettes, precious stones or metals or negotiable instruments in bearer form and will have no liability (whether caused negligently or otherwise) for loss, damage, mis-delivery or non-delivery or late delivery of the same. Unless we agree in writing, before transit commences, we do not carry and you warrant that no Consignment will contain any perishable goods, food, liquids, plants, drugs, medicines or alcoholic beverages and we will have no liability (whether caused negligently or otherwise) for loss, damage, mis-delivery or non-delivery or late delivery of the same. You will indemnify us and keep us indemnified against any costs, expenses, liabilities, injuries, losses, damages, claims, demands, proceedings or legal costs and judgments which we suffer as a result of a breach of the warranties contained in conditions 3.1, 3.2 and 3.3. You acknowledge that our transit system is not suitable for carrying glass, china, ceramics, pottery, stoneware, fossils, antiques and works of art, or similar such materials and we will have no liability (whether caused negligently or otherwise) for any damage caused to the same. We may open or inspect any Consignment. unless we otherwise agree in writing before transit commences, contain any other class of Dangerous Goods. You will indemnify us and keep us indemnified against all any costs, expenses, liabilities, injuries, losses, damages, claims, demands, proceedings or legal costs and judgments which we suffer or incur as a result of any breach of the warranties contained in this clause 4 or us carrying such Dangerous Goods, whether declared as such or not. if a Consignment requires equipment or labour to be unloaded at the Delivery Address, you warrant that such equipment or labour will be provided at the Delivery Address. Any assistance we provide to load or unload a Consignment will be provided at our discretion and is at your sole risk and we will not be liable for any damage caused (whether negligently or otherwise). You will indemnify us and keep us indemnified against any costs, expenses, liabilities, injuries, losses, damages, claims, demands, proceedings or legal costs and judgments which we suffer as a result of the provision of such assistance. Any labour we are required to undertake in order to make collection or delivery of the consignment is chargeable for, to you by us. See 9.9 for further information about charges for such labour. In relation to each Consignment you must complete such consignment note (“Consignment Note”) and address label (“Address Label”) if requested by us. You must affix an Address Label to each Consignment. Transit begins when we accept a Consignment for delivery. At your request we will sign a document acknowledging receipt of a Consignment. Such document will not, regardless of its terms, be evidence of the condition, nature, quantity or weight of the Consignment when delivered to us. when a Consignment is delivered to the Delivery Address or to the instructed to us by you. Transit may occur using any means of transport and by any route we think fit. Without limiting this condition 6.4, you acknowledge that part of the transit of Consignment for Jersey, Guernsey, Northern Ireland, Republic of Ireland, Aberdeen or any Scottish island could be by air. Any additional transit charges including Tolls, Congestion Zones or parking fees will be borne by the customer. Any failed attempts to deliver a Consignment through no fault of ourselves, will result in an additional sum payable by you. We will provide you with an oral proof of delivery within 1 hour of the consignment being delivered and a hardcopy proof of delivery sheet within 7 days. we are unable to deliver the Consignment; you will be liable for any subsequent costs in returning or redelivering the consignment to an alternate address or at an alternate time. Transit charges are subject to change without prior notice and will be payable by you within 14 days of the date of our invoice or as we notify you in writing from time to time. Credit of up to 30 days from invoice can be given but is at our discretion whether or not we allow this. All charges are expressed exclusive of VAT which may be chargeable and which will be payable in addition by you. Any other sums owing from you to us, regardless of whether we have issued you with an invoice for such sums or whether such sums are due to be paid in the future will become immediately due and payable. All payments due from you under these Conditions will be made without deduction whether by way of counterclaim, set-off or otherwise unless you have a valid court order requiring an amount equal to the deduction to be paid by us. You will notify us of any change in your name, address or other circumstances that may affect the payment of any charges at least 14 days in advance of date of the change. After an initial period of 30 minutes, we may charge you for each 15 minute period spent attempting to collect or deliver a Consignment. The rates are as follows; £6.25 for small van, £7.50 for SWB/MWB van and £10 for LWB or Luton Tail Lift van. A cancellation fee of 50% of the price of the job (minimum £30) will be chargeable to you, if we are not notified of the cancellation before 24 hours of the pick up time stated in our booking confirmation sheet/document/email. We will not be expected to manually load or unload any consignment that either weighs more than 30 kilograms individually or takes more than 10 minutes of manual labour to load or unload. Upon request and at our discretion, we may be able to do this, this will be chargeable to you for a minimum fee of £15 and will increase by £5 for every 15 minute period beyond an initial 30 minutes of manual labour. We will in no circumstances be liable to you for pure economic loss or loss of profit, business, sale, market, goodwill and like loss, whether direct or indirect and whether caused negligently or otherwise. Notwithstanding anything to the contrary contained in these Conditions, our liability for fraud, or death or personal injury resulting from our negligence, is not limited. Notwithstanding anything to the contrary contained elsewhere in these Conditions, if you have sub-contracted the delivery of any Consignment to us, we will not be under any greater liability to you in respect of such Consignment than you have contractually to your customer. act of God, war, riot, civil commotion, malicious damage or blockades, strikes, lockouts or other industrial disputes (whether involving our workforce or that of a third party) compliance with any law or governmental order, rule, regulation or direction seizure under legal process, national emergencies, fire, flood, tempest or storm, accident, breakdown of plant or machinery default of supplies (including, without limitation fuel) or sub-contractors. We will not be liable (whether in negligence or otherwise) for damage to Consignments or loss, mis-delivery or non-delivery of any Consignment (or any part thereof), unless you notify us upon immediate delivery of the consignment or when the proof of delivery document is signed as having been received in good condition. All reasonable efforts will be made by us to ensure your consignment/s is delivered on time. In the event of any unforeseeable circumstances that result in delivery of your consignment/s being late, we will keep you informed of any such delays and endeavour to deliver your consignments in a reasonably revised time. Therefore, we will not be liable for any damages/costs claimed against us for late delivery of your consignment/s, that are a result of any unforeseeable circumstances. Before transit commences you may request an increase in our liability under condition 14. If we agree, Extended Cover is available up to £50,000.00 and there will be a further charge applicable for this. the sum specified in either condition 14.2 or 14.3 provided that our maximum liability per Consignment under this condition 14.1 is £10,000.00. We will use our reasonable endeavours to find any cheque which forms part of a Consignment and which is lost during transit, provided that our liability for such loss will be limited to the lesser of the cost of cancelling and reissuing any such cheque and £10.00. If during transit a Consignment is carried by water, rail or air, our liability for any loss of or damage to the Consignment during the period of transit by water, rail or air will not exceed the liability of the carrier providing the water, rail or air carriage to us. Any Consignment which has a Value of less than £20.00 is carried at your risk and we will have no liability to any loss, mis-delivery or non-delivery of or damage to such Consignment. Shock labels or similar devices designed to show whether a Consignment has been subject to treatment likely to cause damage to it are not accepted as proof of damage of any Consignment. After an initial period of 30 minutes, we may charge you £5.00 for each 15 minute period spent attempting to collect or deliver a Consignment. our liability for loss of or damage to or late delivery of a Consignment will be governed by and limited in accordance with the CMR. our liability for loss of or damage to a Consignment or late delivery of a Consignment will be governed by and limited in accordance with the 1929 Convention or the 1955 Convention (as appropriate). If a Consignment is being exported you must supply correct and complete documentation required for customs clearance at the commencement of transit. The headings in these Conditions are for convenience only and do not affect their interpretation. Any Consignment accepted for transit is accepted upon these Conditions to the exclusion of all others that you attempt to apply, even if they are endorsed upon, delivered with or contained in any document that you deliver to us. Delivery of a Consignment to us by you will be conclusive evidence of your acceptance of these conditions. Variations to these Conditions and representations about the services we are to provide to you will be ineffective unless expressly agreed in writing by an authorised signatory. Any failure by us to enforce or partially enforce any provision of these conditions will not amount to a waiver of our rights. These conditions are personal to you and you may not assign, licence or sub-contract any or all of your rights or obligations under them without our prior written consent. Any provision of these conditions which is held by any competent authority to be invalid, void, voidable, unenforceable or unreasonable (in whole or in part) will, to the extent of such invalidity, voidness, voidability, unenforceability or unreasonableness be deemed severable and the other provision of these conditions and the remainder of such provision shall not be effected. All communications between the parties about these conditions must be in writing and delivered by hand, pre-paid first class or fax, if to us, to our registered office and if to you, to the address specified on the account application form, or in either case, to such other address as notified by either party to the other. if sent by fax before 4pm on a day other than a Saturday, Sunday or a Bank or public holiday, at the time of transmission or otherwise on the next day which is not a Saturday, Sunday or a bank or public holiday. These Conditions contain all the terms which we have agreed in relation to the subject matter of these Conditions. Neither party has been induced to enter into these Conditions by a statement or promise which they do not contain. This Condition 19.9 will not exclude any liability which one party would otherwise have to the other in respect of any fraudulent statements. Formation, construction, performance, validity and all aspects of these Conditions is governed by English law and the parties submit to the exclusive jurisdiction of the English courts. The parties to these Conditions do not intend that any of its terms will be enforceable by virtue of the Contracts (rights of third parties) act 1999 by any person not a party to it. You consent to and understand that, for all account applications, a credit search will take place using a credit reference agency. This information may also be shared with other Courier Express companies. We aim to investigate any concerns raised promptly, in any event, no less than 28 days from receipt of notification in writing, and work to resolve any issues raised by you. You agree to mediate in the first instance any matter that remains unresolved, prior to litigation.